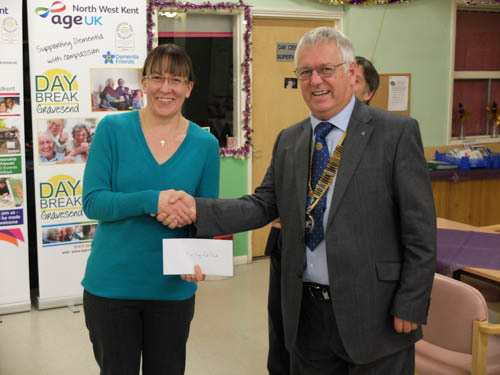 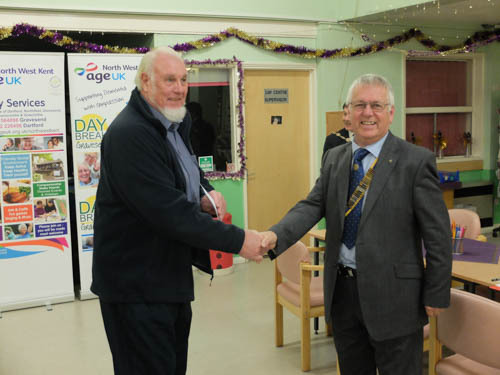 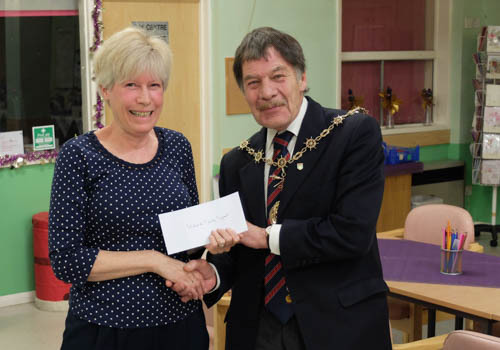 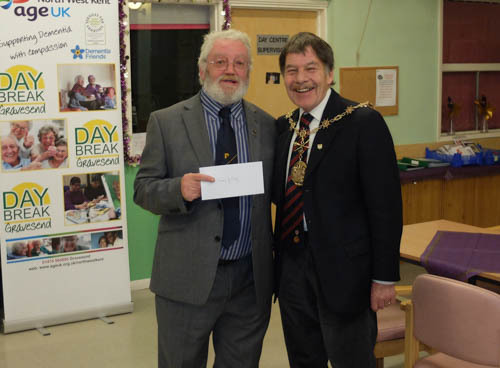 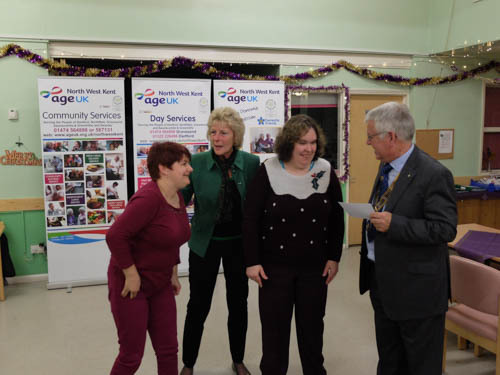 A few weeks earlier £7,000 was given to the ellenor for its hospice services. 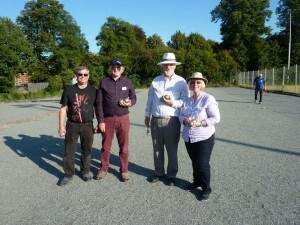 The three clubs of Gravesham meet annually for the Gravesend Rotary Petanque Cup and on previous occasions the elements have almost defeated them. 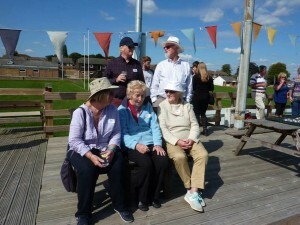 But this year the temperature rose, the drinks were cooling and the barbeque was enjoyed by all. 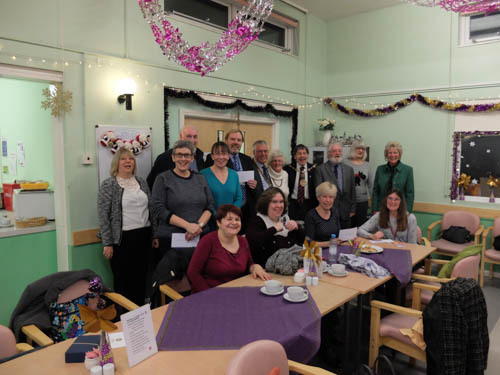 So we didn’t win…that honour went to our daughter club of Gravesend and Meopham but who cared when the fun, food and fellowship was so good. 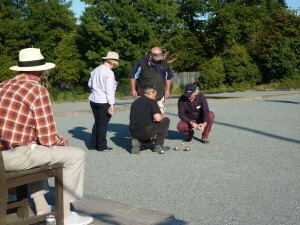 It really was an enjoyable and relaxing day and we promise we will try harder next year. 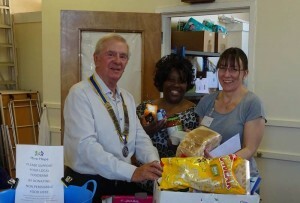 Deborah and Jeff Keys with a band of willing helpers open up the Hive Food Bank every Wednesdays and Thursdays to help local residents who cannot quite make ends meet. 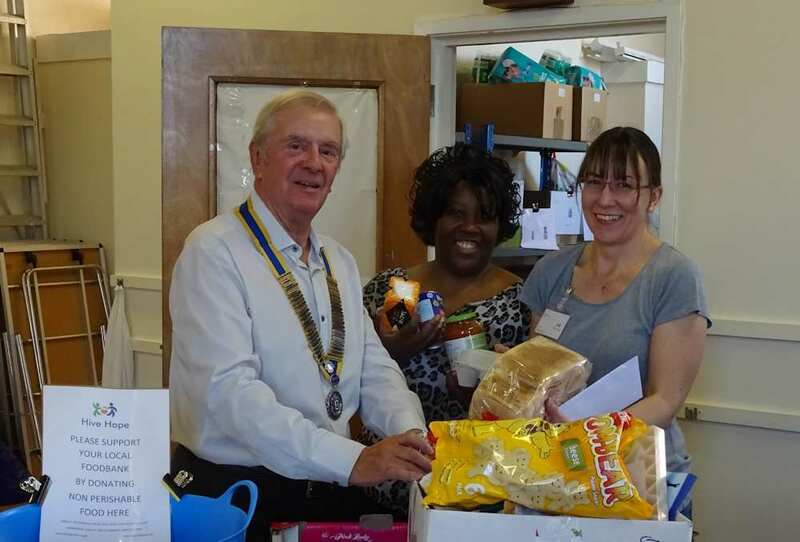 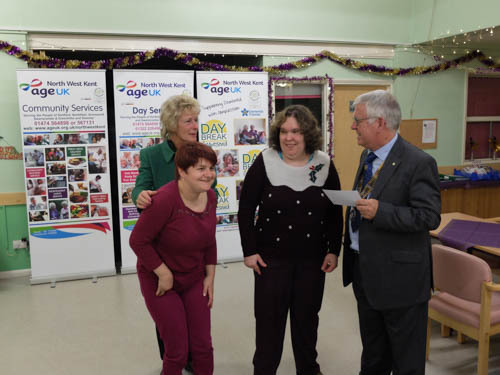 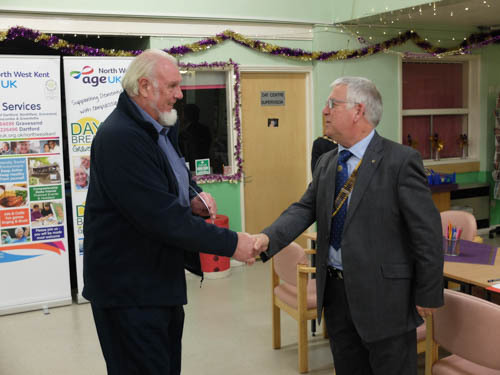 On Thursday 4th June 2015 the Hive Food Bank celebrated its 1st birthday and Deborah and Jeff Keys welcomed the President of the Rotary Club of Gravesend John Baker who presented them with a cheque to mark the event. 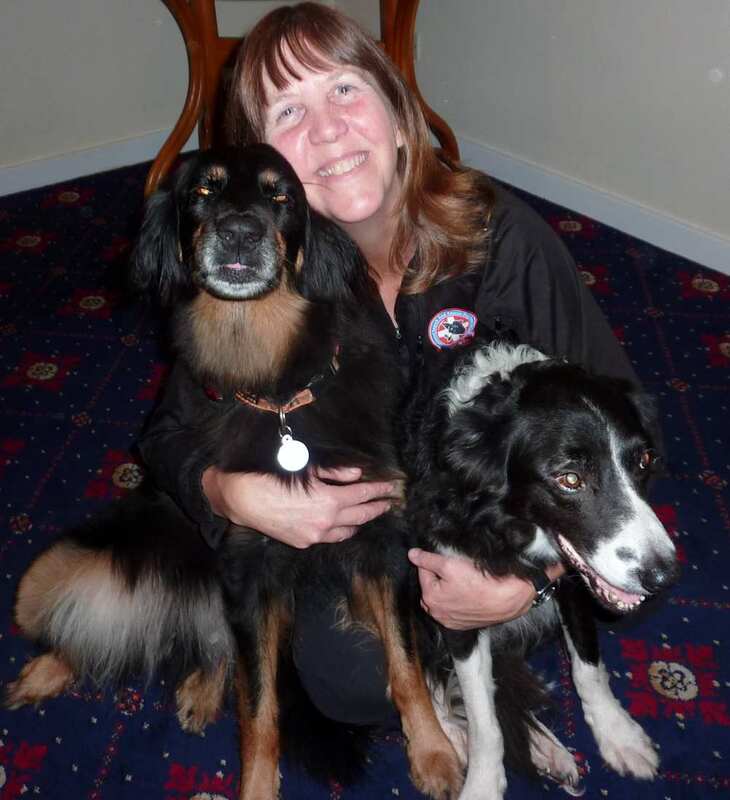 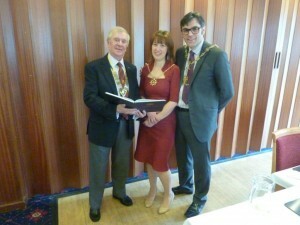 In thanking President John for the club’s continued support Deborah said “the day has brought mixed emotions. 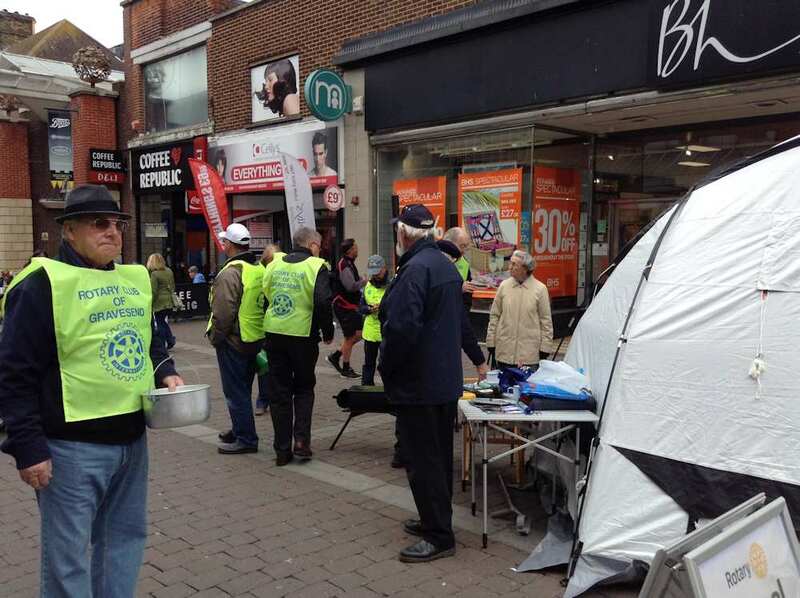 We are glad that we are able to help those who cannot manage but are sad that the need is there. 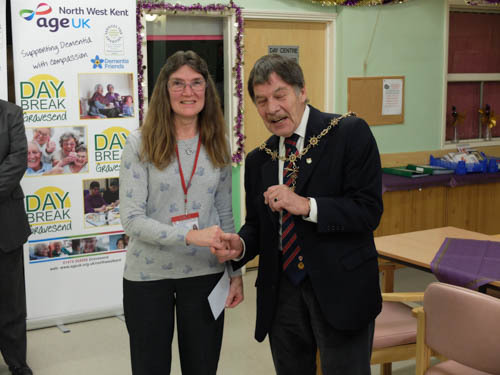 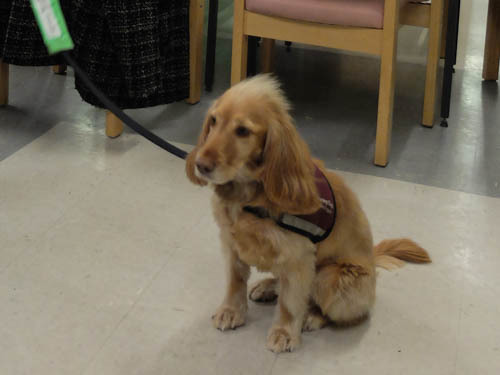 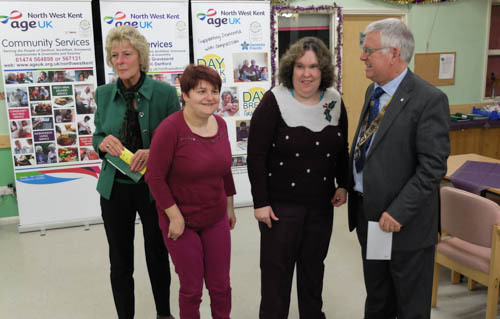 “We operate independently from the Trussell Trust in Gravesend ” she said, “we fill a local need not only for food but also for guidance towards other organisations that can help those in need”. 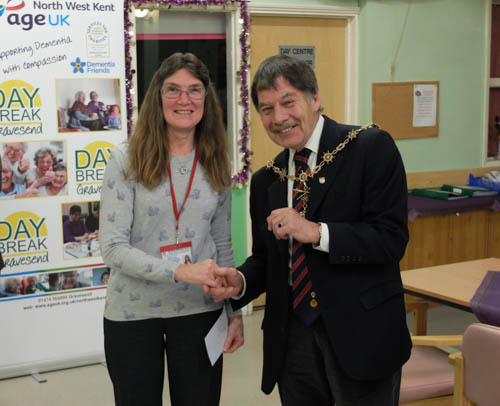 “We help our clients as long as possible” said Deborah, “the majority are able to get back on their feet within a month but we cannot let families and children starve just because we have reached a certain date in a calendar. 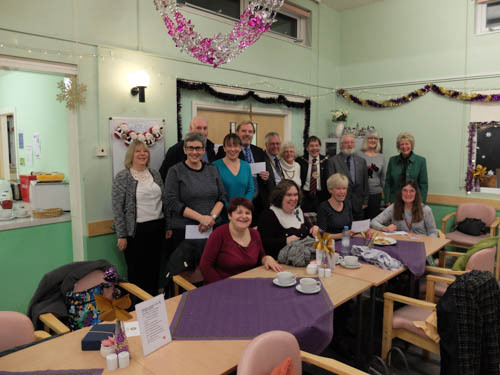 We do not duplicate or encroach on the wonderful work done by the Trussell Trust in Gravesend but the need is such here in Northfleet that anything we can do is welcome. 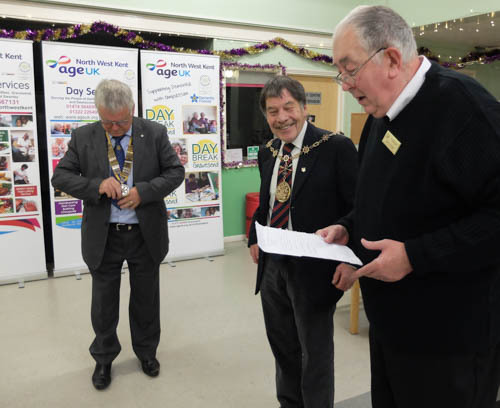 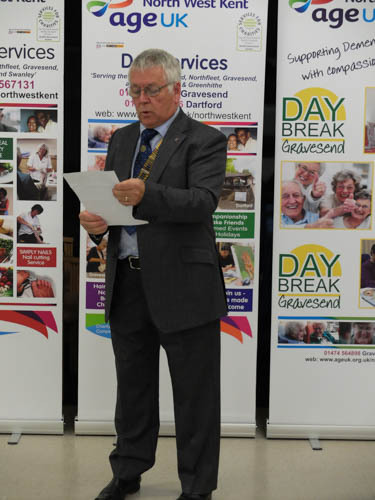 President John Baker said that “Our club was formed over 80 years ago to serve the people of Gravesend. 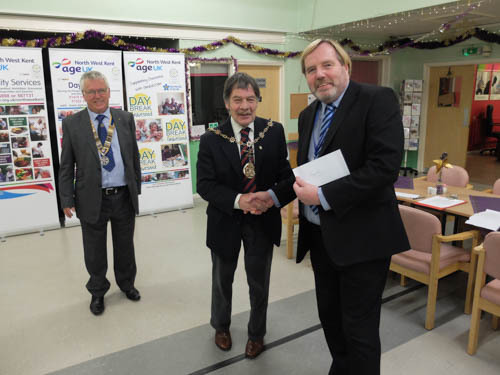 Today the needs of our local community is still our prime consideration and we are proud to be able to help Hive Hope whenever we can . 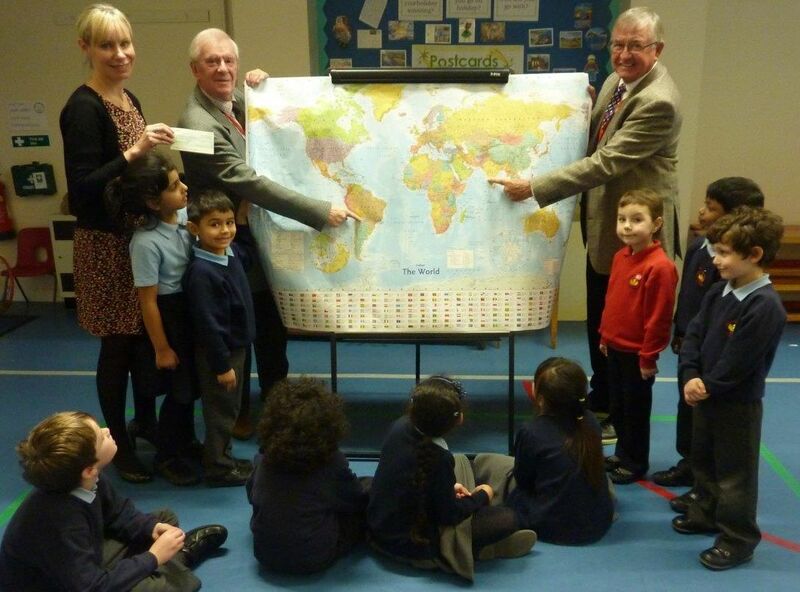 Our Club responded quickly to the needs of Nepal following the disastrous earthquake. 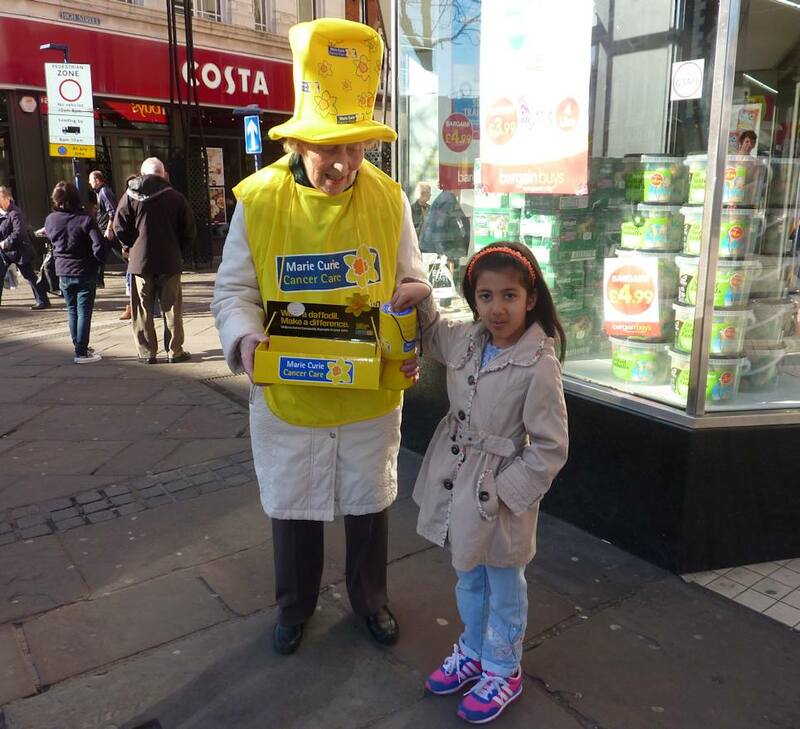 At our meeting on 27 April we decided to hold a street collection. The licence was obtained and the collection held on the following Saturday. 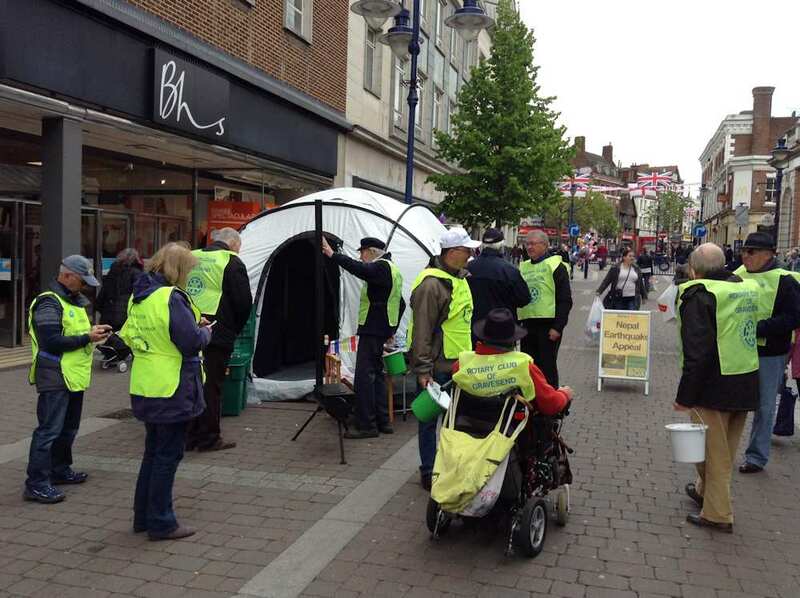 There was a fantastic response from the townspeople of Gravesham. A total of £1,431.27 was collected between 10am and 4pm. The money has been sent to ShelterBox to support its work there. Thank you Gravesham. 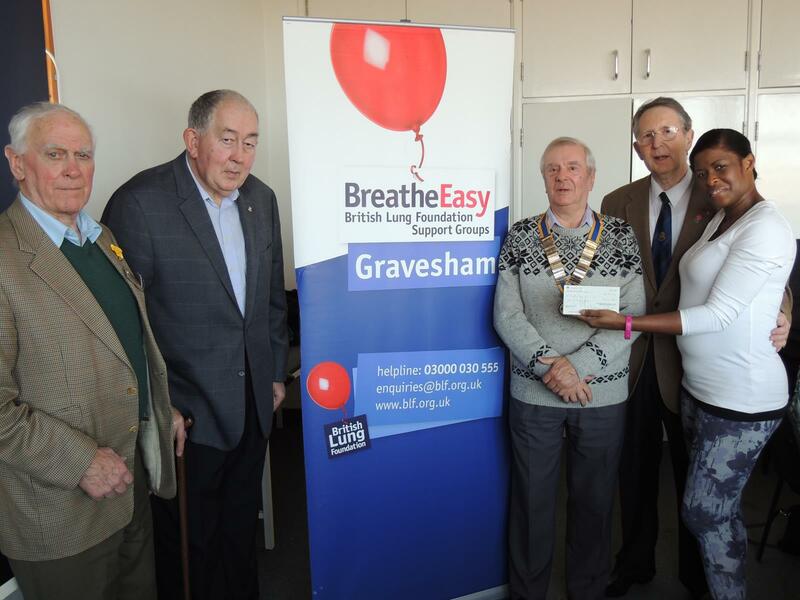 BreatheEasy groups are local groups which support the British Lung Foundation. 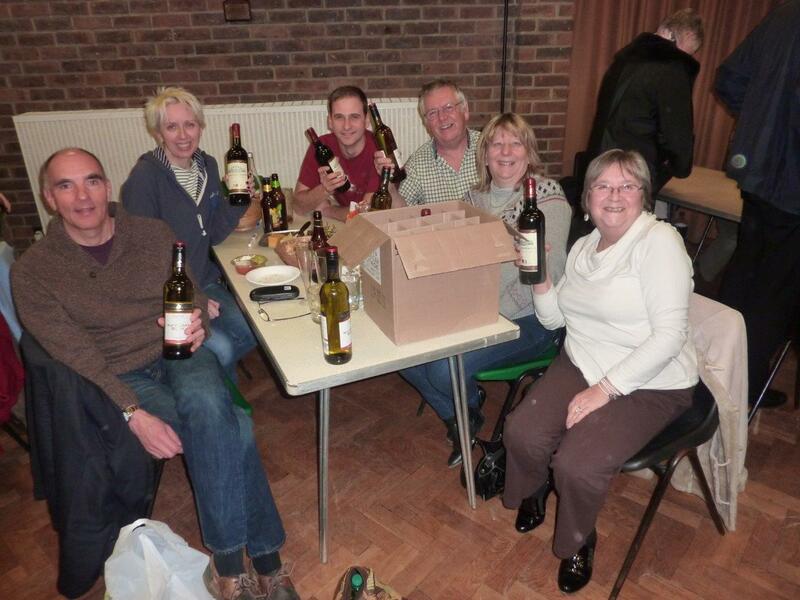 The winning team at our annual International Quiz night look pleased with their prize….a bottle each and a couple to spare! 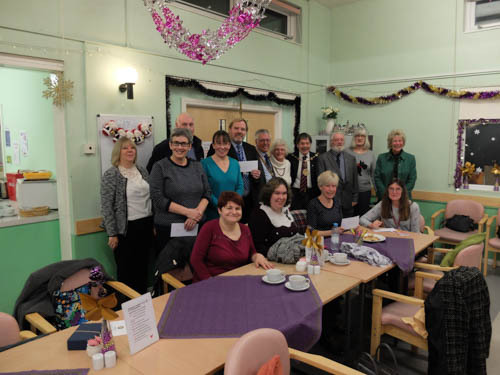 This year the evening raised nearly £400 which will be sent to Medecins Sans Frontieres to help in the fight against the ebola disease in West Africa. 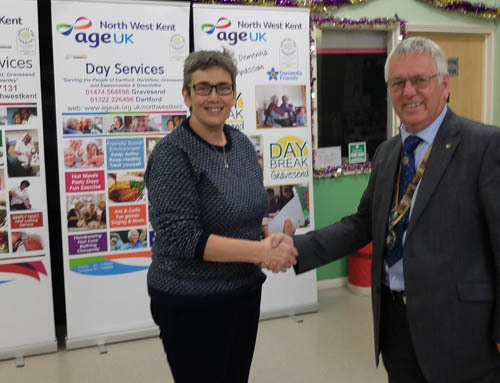 The Mayor of Gravesend Councilor John Caller and the Lady Mayoress Mrs Sue Caller were guests of the Rotary Club of Gravesend for the club’s annual Civic Day lunch on Monday 7th March. 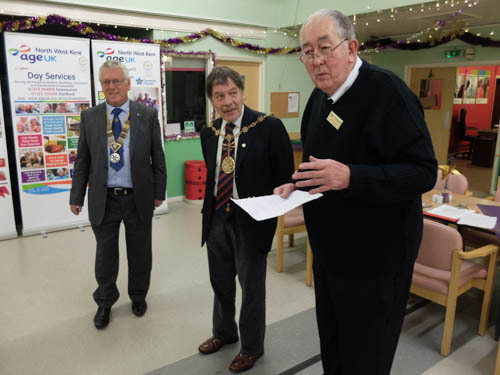 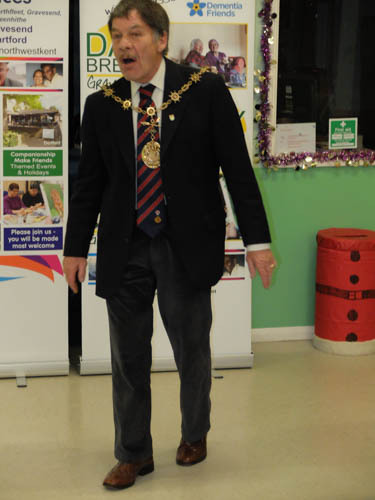 In his address to the members, the Mayor said that during his year in office he had been most impressed by the amount of work that went on behind the scenes to help those in need. 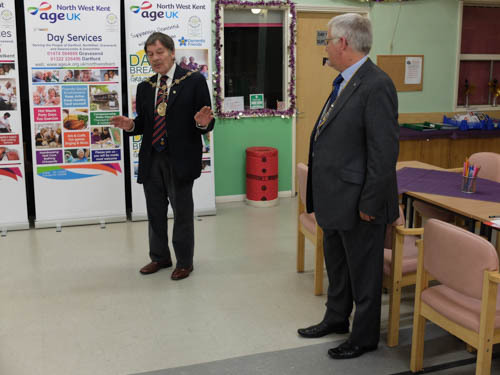 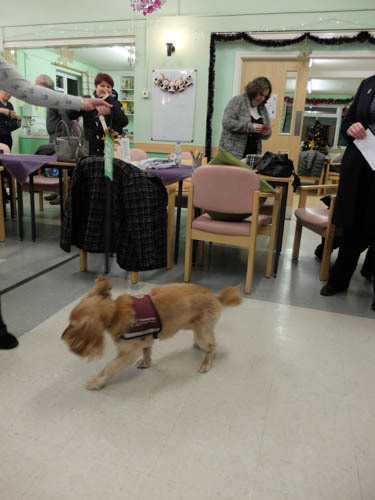 He said that “Throughout the Borough there are groups of volunteers quietly working away to make other peoples lives that much better. 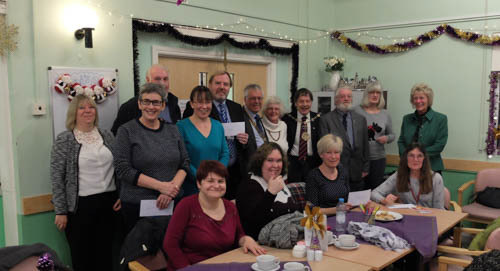 None of them seek recognition for what they do but all are improving the quality of life for so many people and deserve the thanks of everyone in Gravesham. 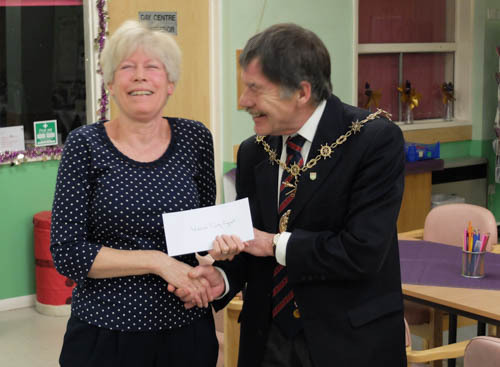 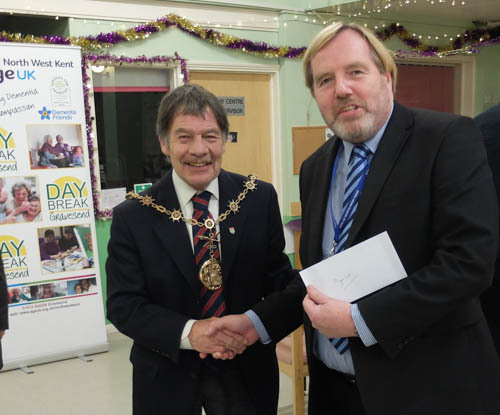 He thanked Rotary for its continued support for the many smaller charities through it’s annual “On Your Bike” sponsored cycle ride and said that once again this year both he and the Lady Mayoress intended to take part.